Your Acura is one of the most stylish vehicles on the road. It always makes an impression, because it’s either styling and profiling as the valet pulls up, or it’s passing everyone else on the Interstate. It’s a classy car, which means it deserves the best care possible. We won’t treat your Acura like every other vehicle in our garage. We’ll treat it like an Acura. Only an Acura driver and the Acura manufacturer knows what that means. A qualified Acura technician has learned what separates the Acura from every other vehicle they service. We love seeing our Acura customers drive away in a better condition than when they arrived, just because they made the choice to stop by the experts at Joe Davis Autosport. Timely maintenance will make sure you avoid any costly repairs down the road. Take care of your Acura’s engine with the all-important oil changes. Your driving habits, the age of your vehicle, and the manufacturer’s recommendations will determine your schedule. 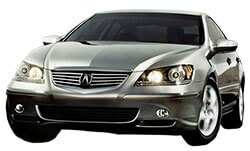 Even the most diligent maintenance services for your Acura could still result in a repair need. This is where our specialized Acura services come in handy. Our technicians have the training and experience to handle any minor or major repairs for your Acura. Your Acura’s engine, transmission, heating & A/C, steering system, and much more can be taken care of by our Acura service experts. We stand behind all of our repairs, because we use state-of-the-art equipment and a very competitive warranty. Worry-free repairs are a part of our services because our goal is to eliminate all the concerns about your Acura’s repairs and maintenance. Not to mention, we offer a free shuttle service as well as loaners cars for your convenience. Give us call, or just stop by with any questions or concerns about your Acura. We are full of answers, and better yet, we have the solutions. You can get your Acura service scheduled today by using our convenient online scheduling system. Just pick a day and time that works for you, and we’ll see you when you get here!